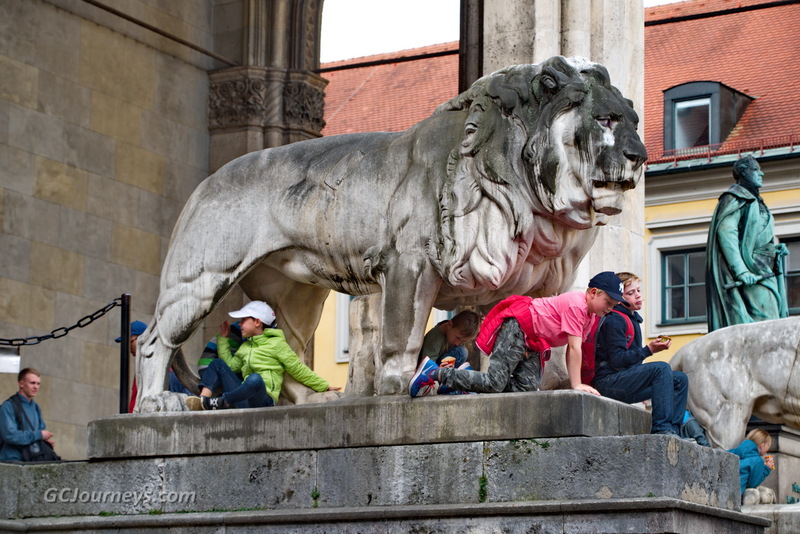 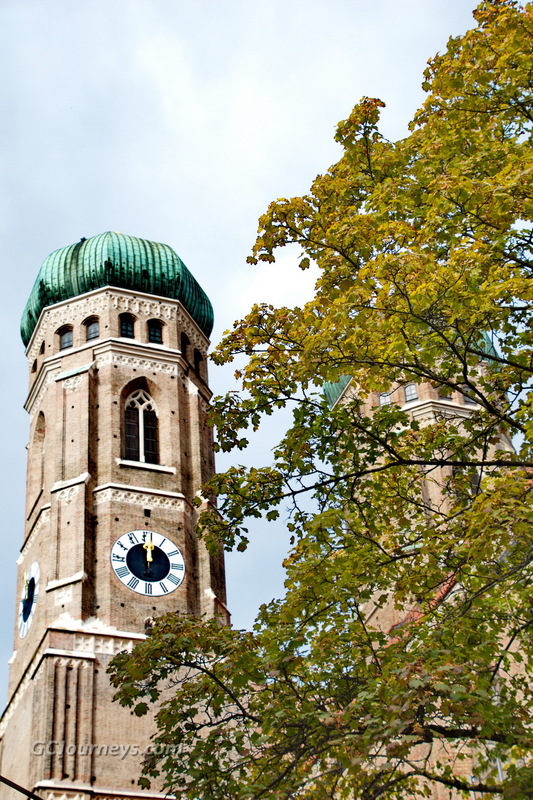 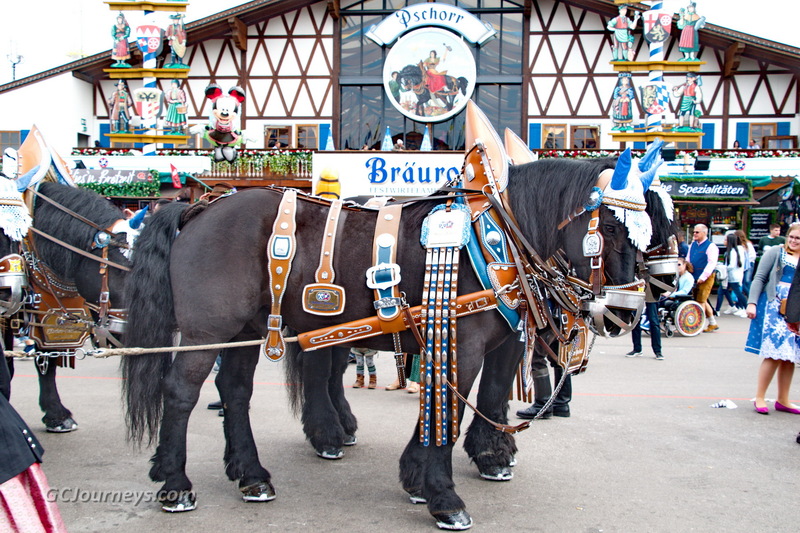 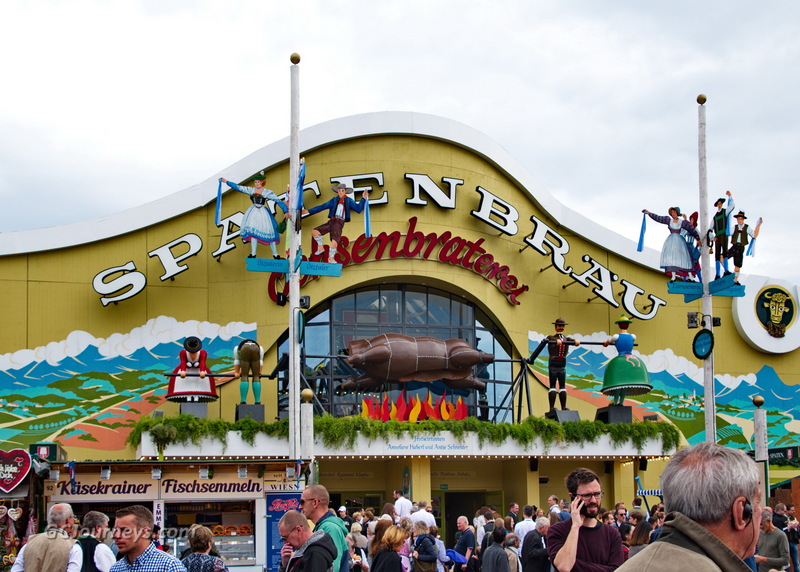 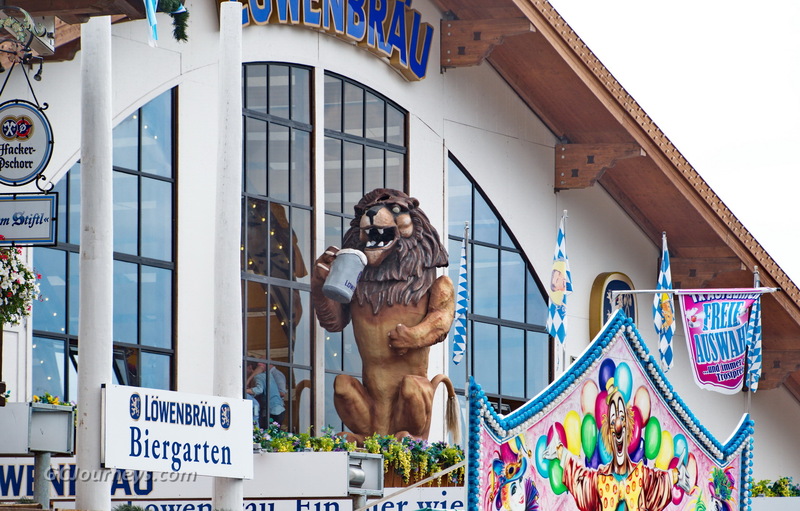 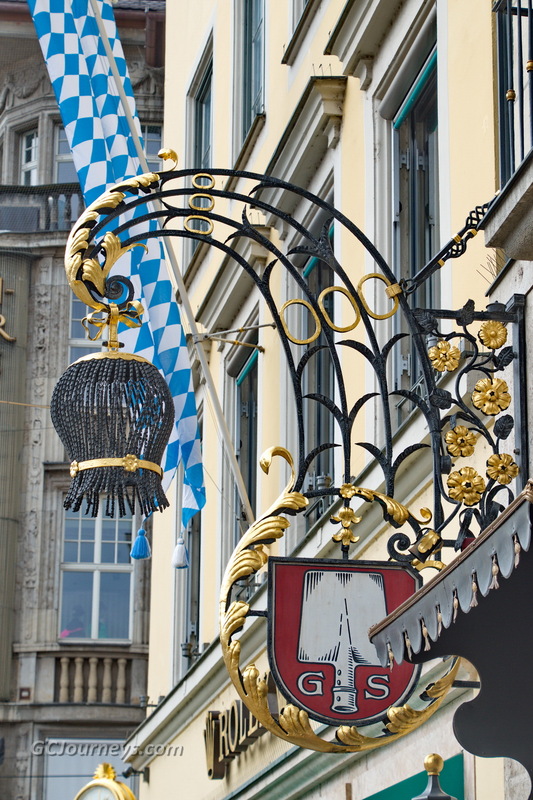 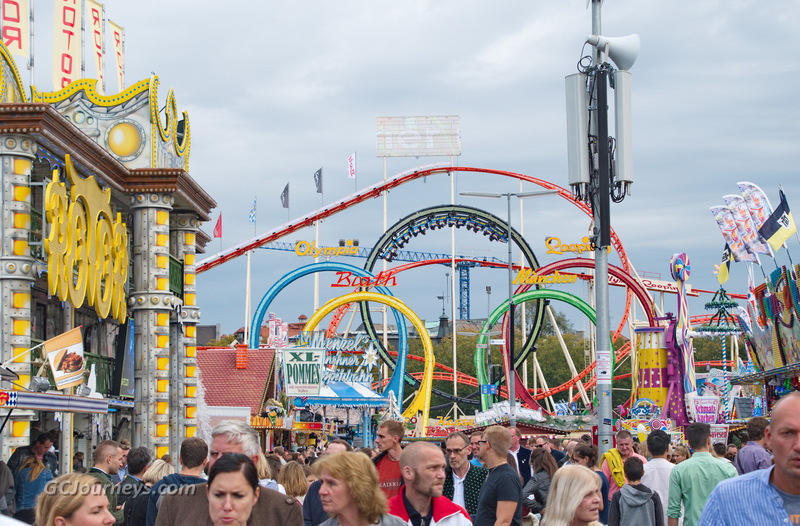 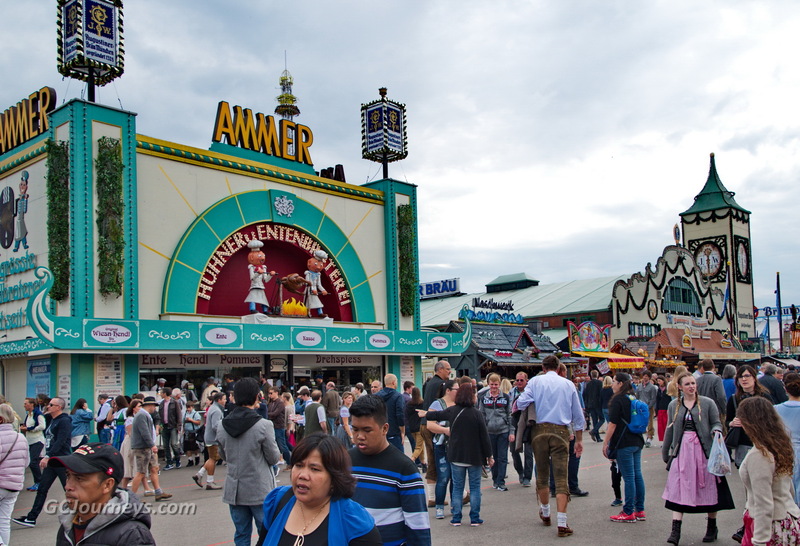 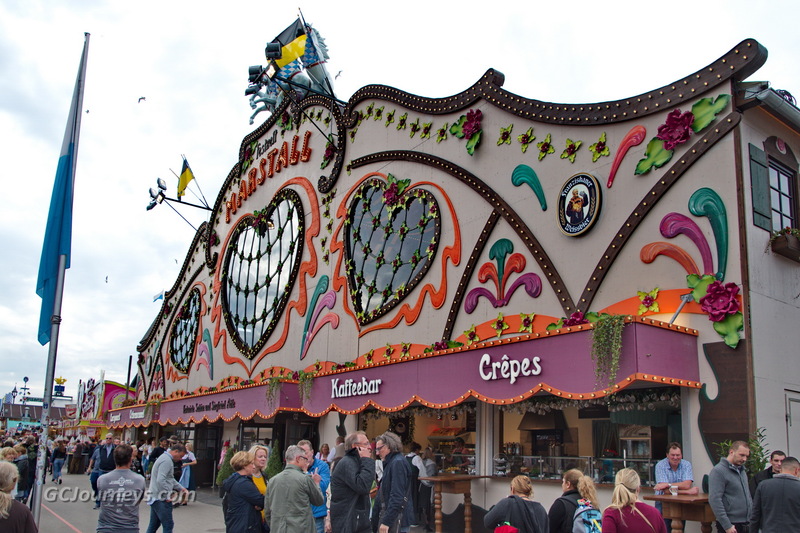 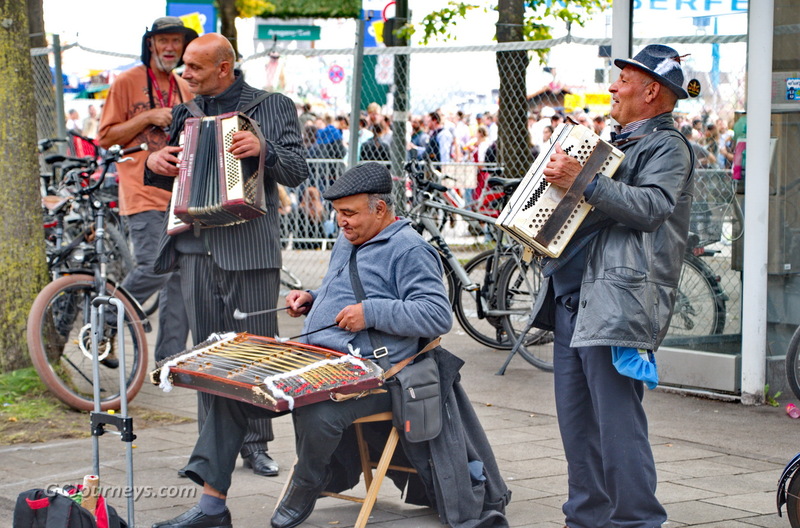 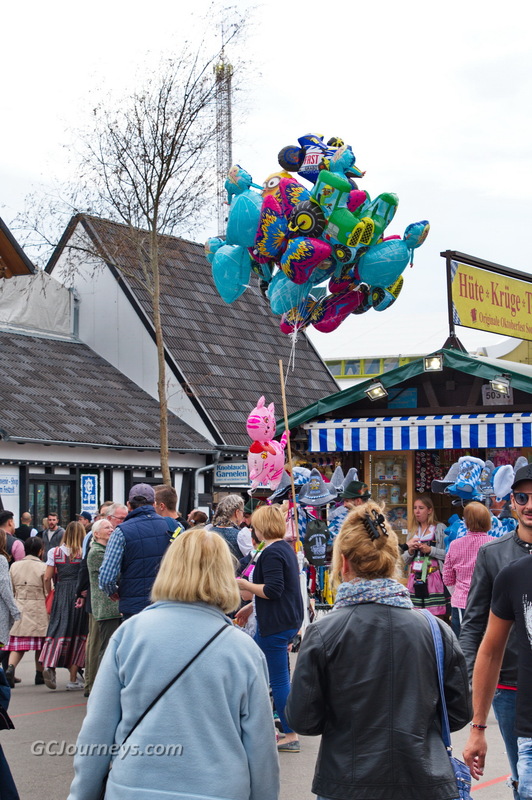 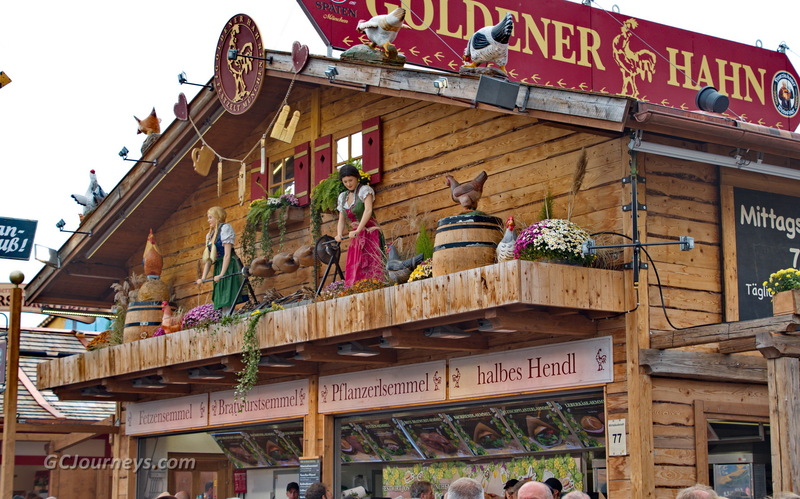 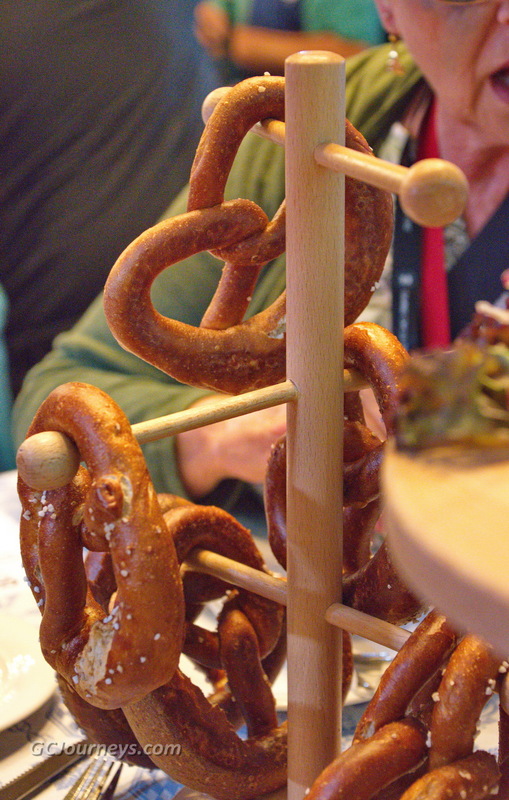 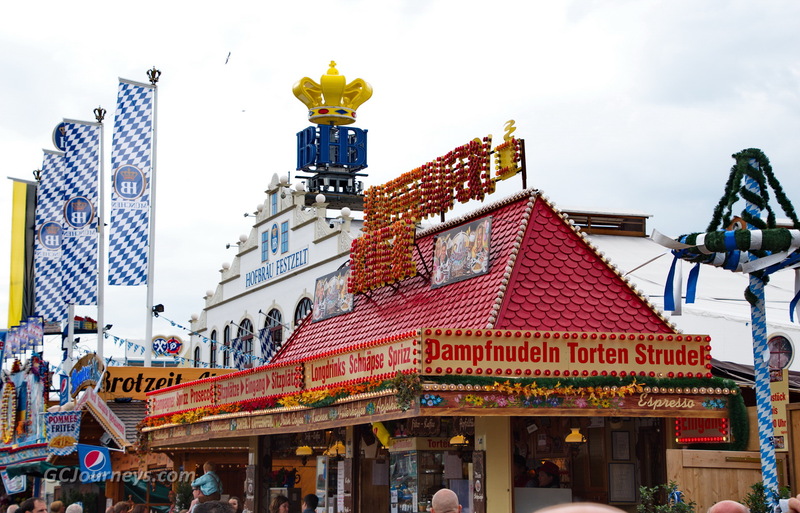 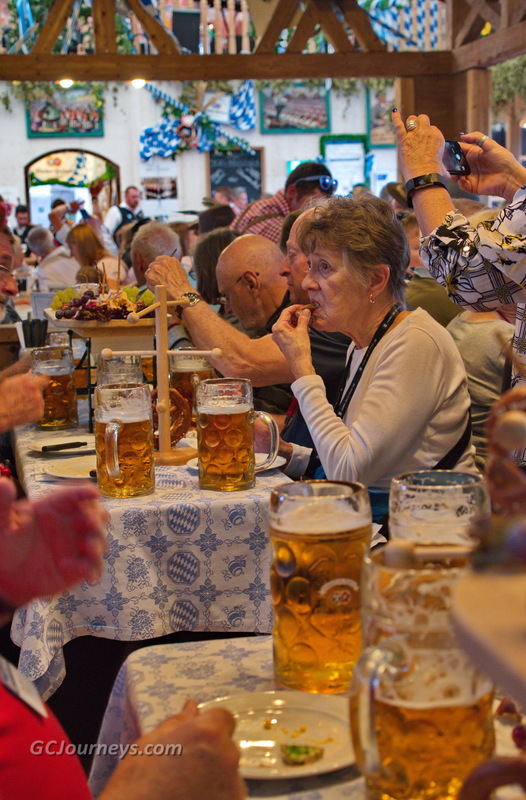 One of the many highlights of our river cruise was our visit to Munich and the Oktoberfest. 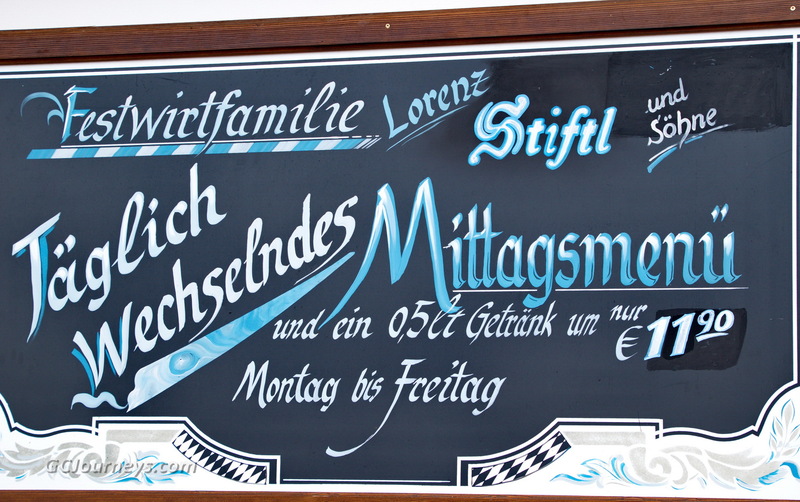 A bonus on the day was an unexpected stop at BMW World. 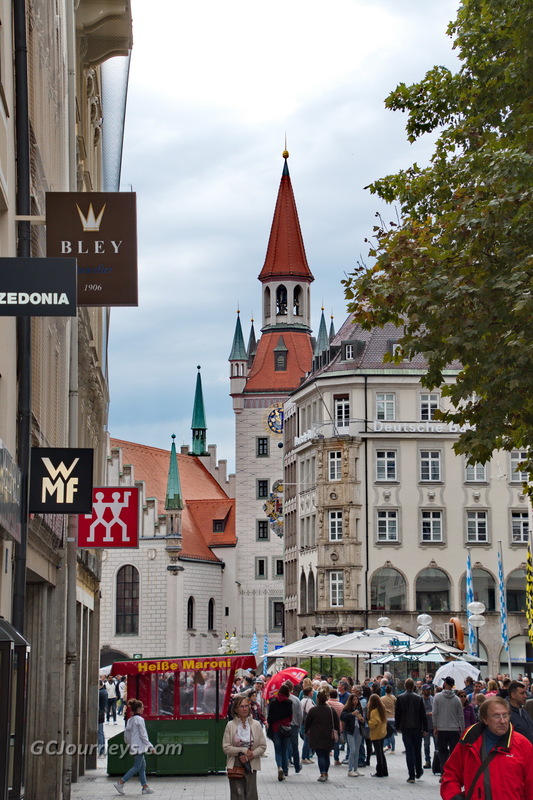 Our bathroom stop on the bus ride from Regensburg to Munich was at BMW World, a giant showroom of everything BMW, including motorcycles, Minis, BMWs, and Rolls-Royces. 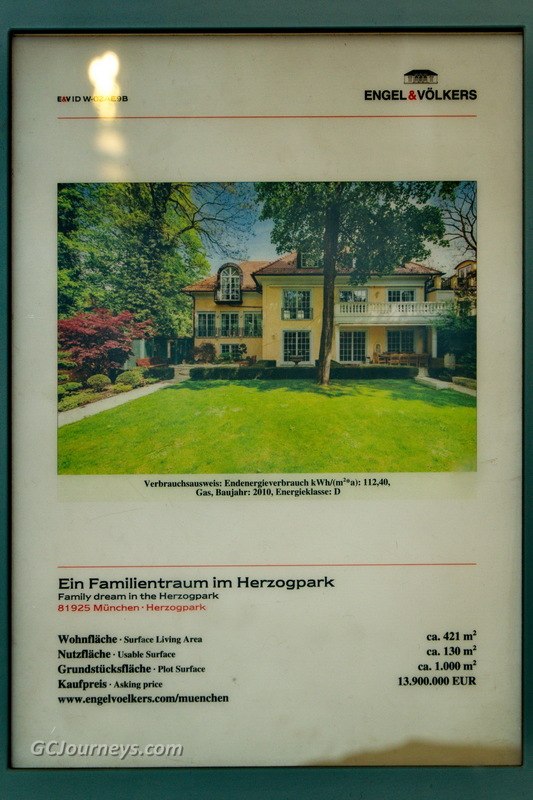 We wanted to buy one of the $627,000 Rolls Royces on display but found that there’s a 12+ month waiting list, so we passed. 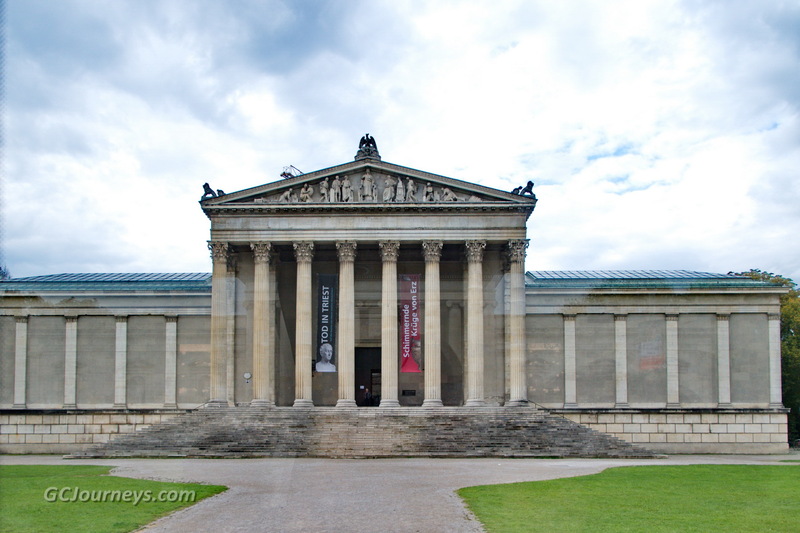 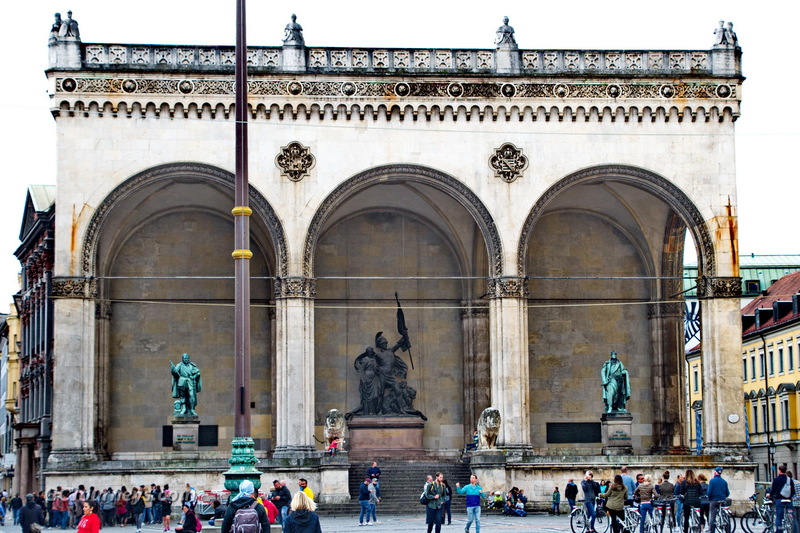 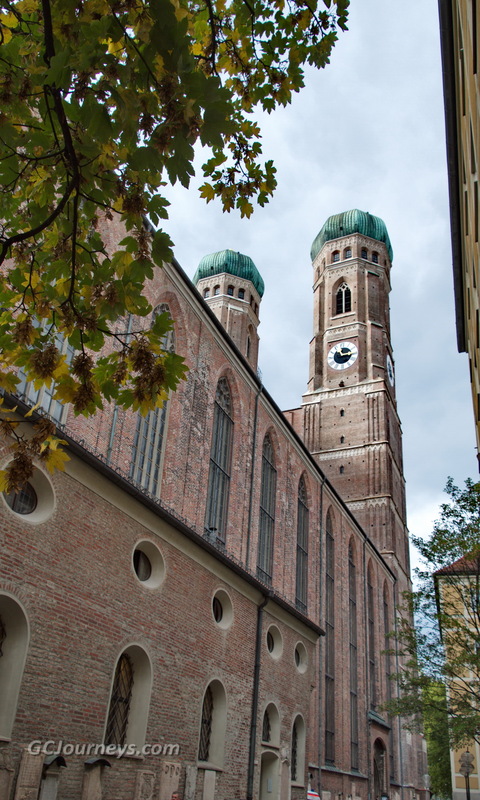 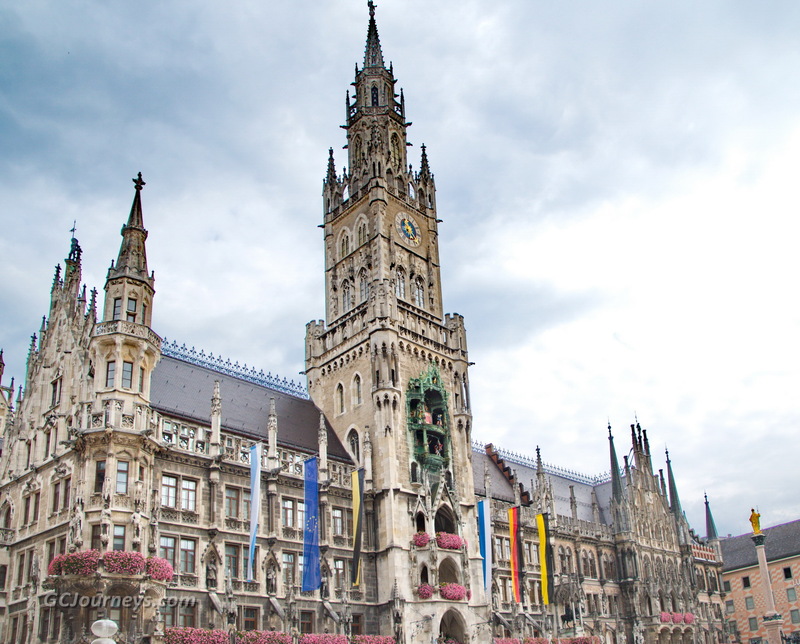 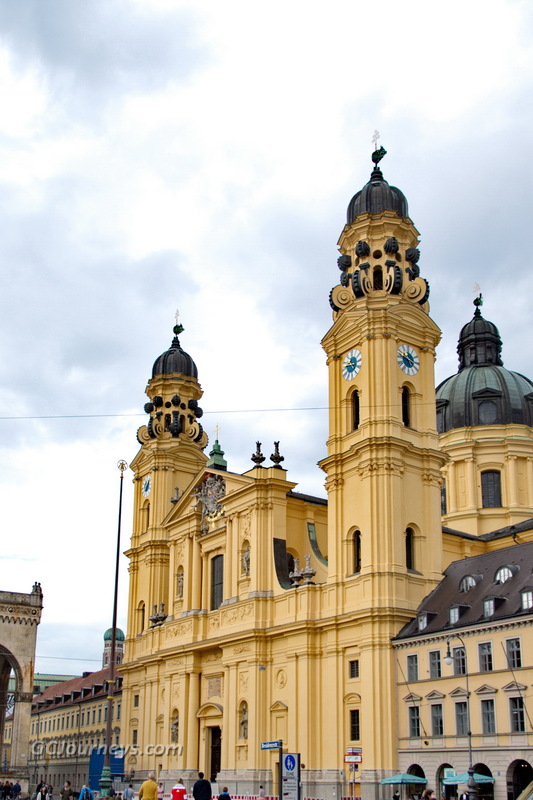 Munich was founded in 1158 and is the capital and largest city in the state of Bavaria. 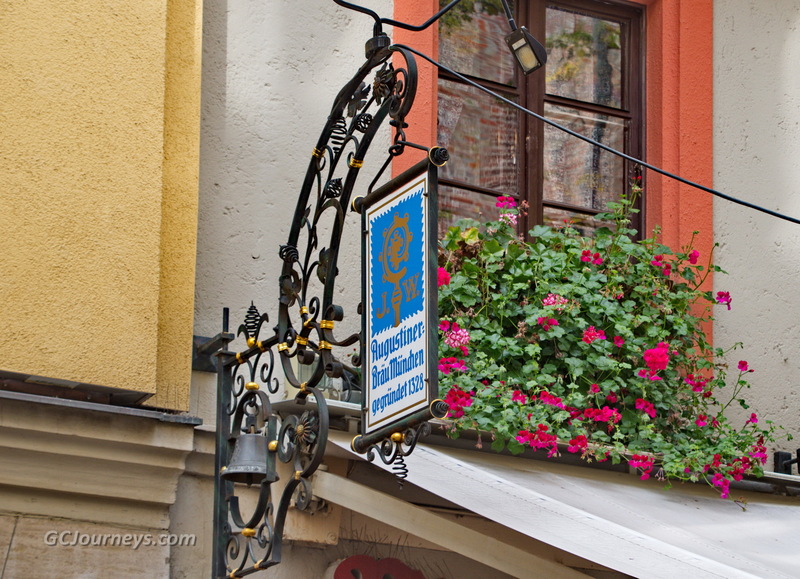 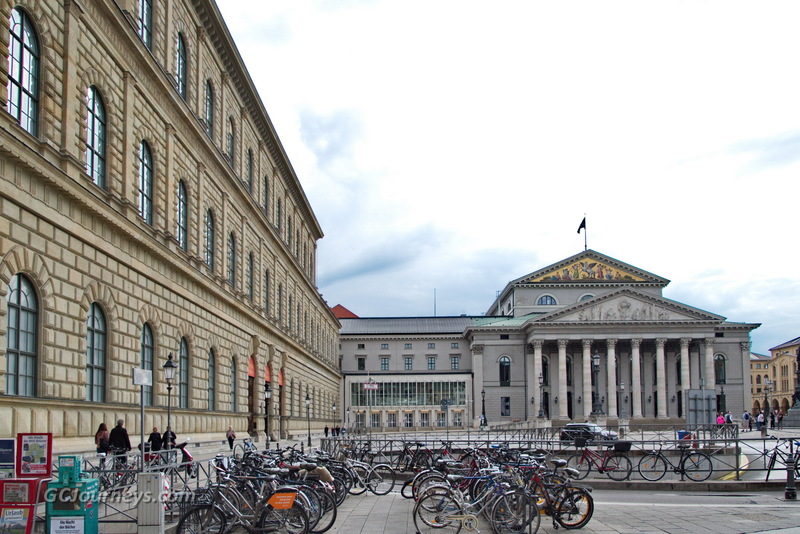 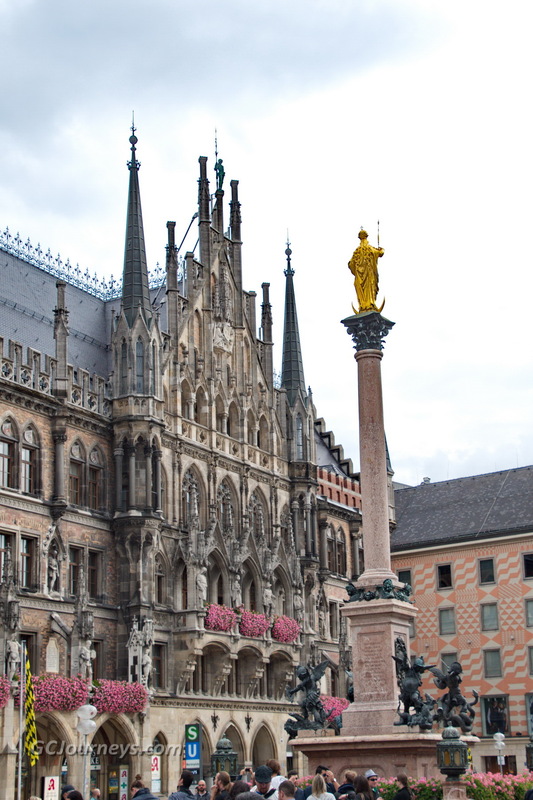 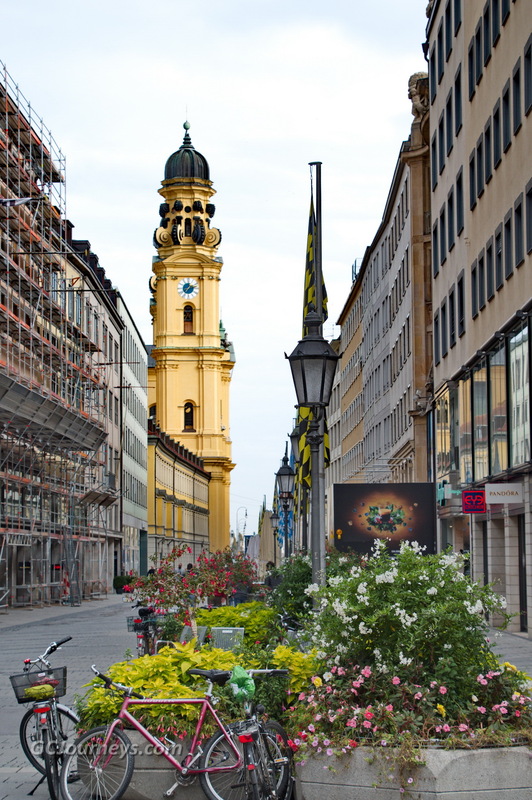 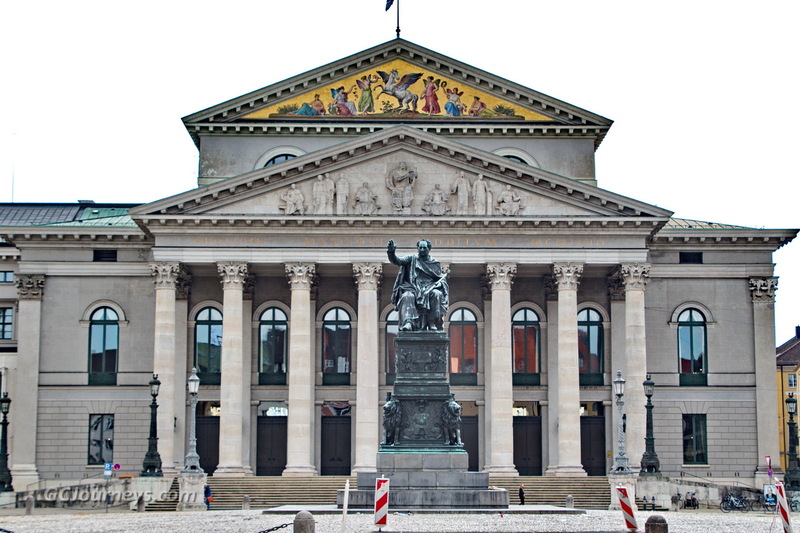 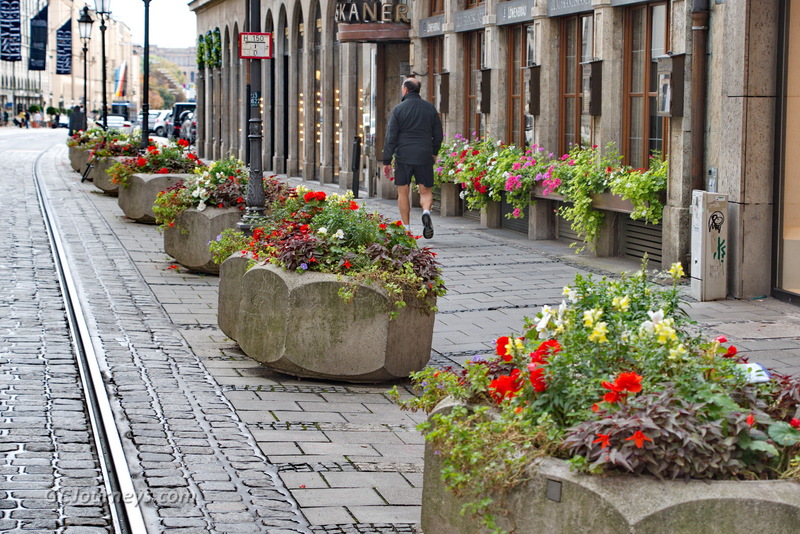 Our walking tour was concentrated around the central historic district which includes the 13th century royal palace (“the Residenz”), the Old and New Town Hall with its animated “Rathaus Glockenspiel” characters, big churches, and high-end stores. 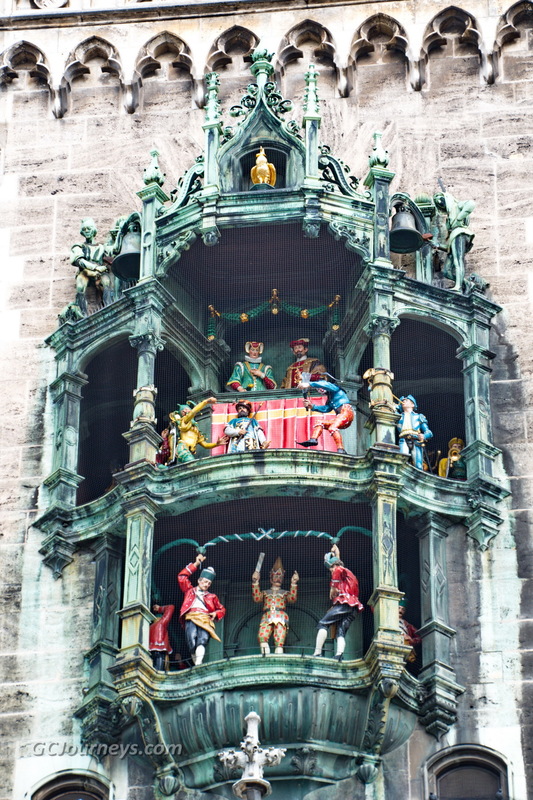 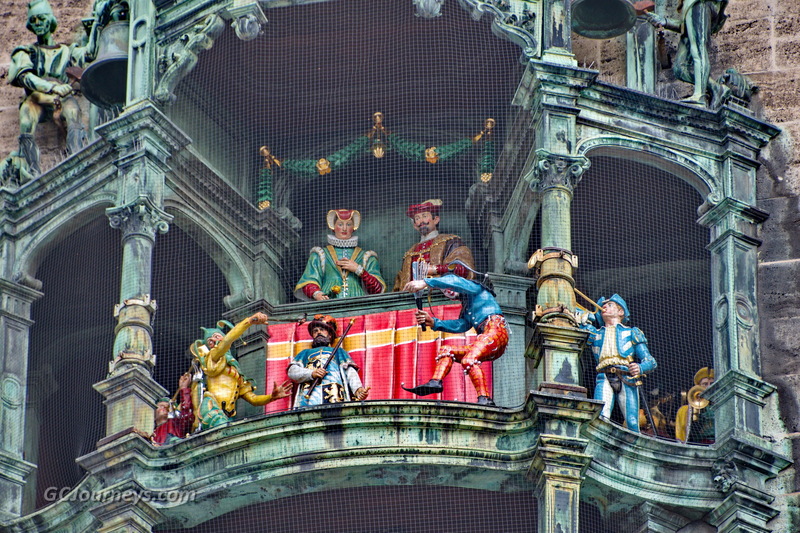 Unfortunately our local guide was more interested in showing us the high-end stores (all closed on Sunday) and we missed the 11:00 a.m. performance of the Glockenspiel. 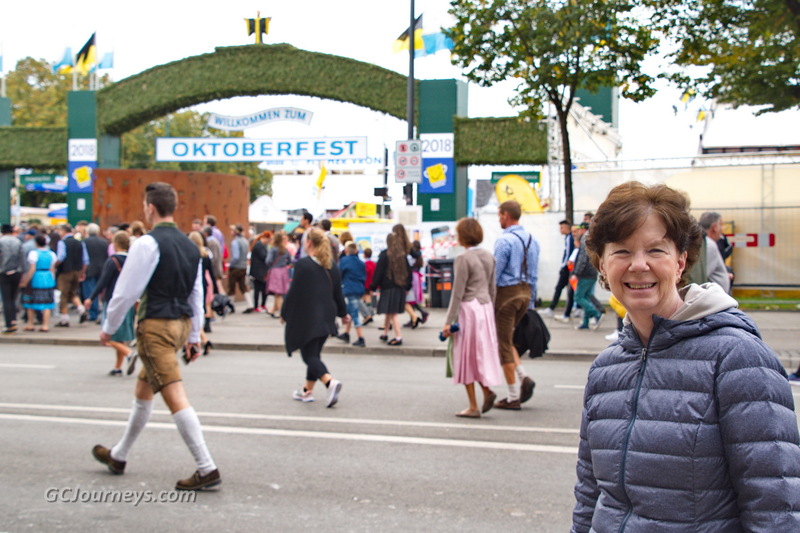 After the walking tour we rode and walked to the 104-acre site of the Oktoberfest for the very crowded last day of the 16-day event. 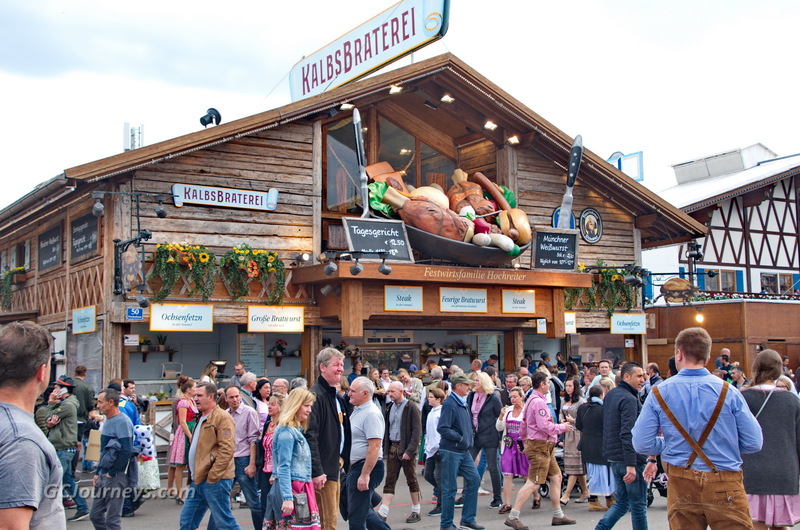 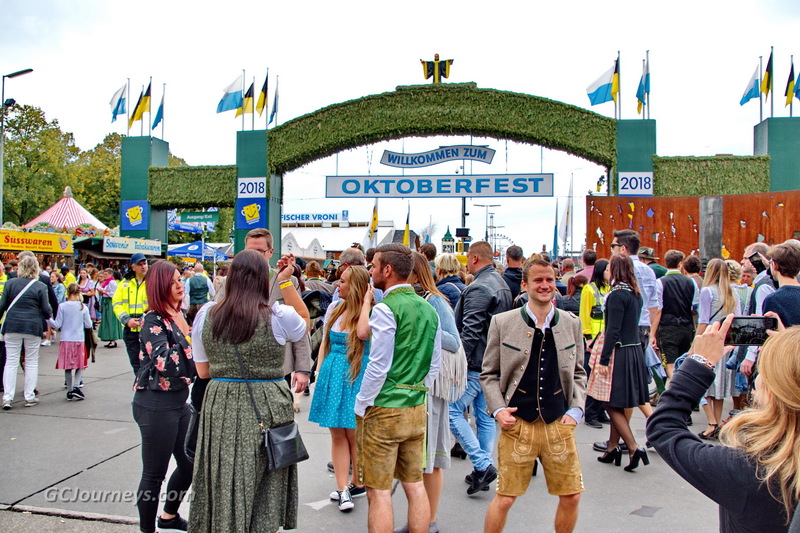 This year’s Oktoberfest had 7.2 million attendees and served 6.9 million liters of beer, along with 550,000 chickens and many thousands of assorted other meat dishes. 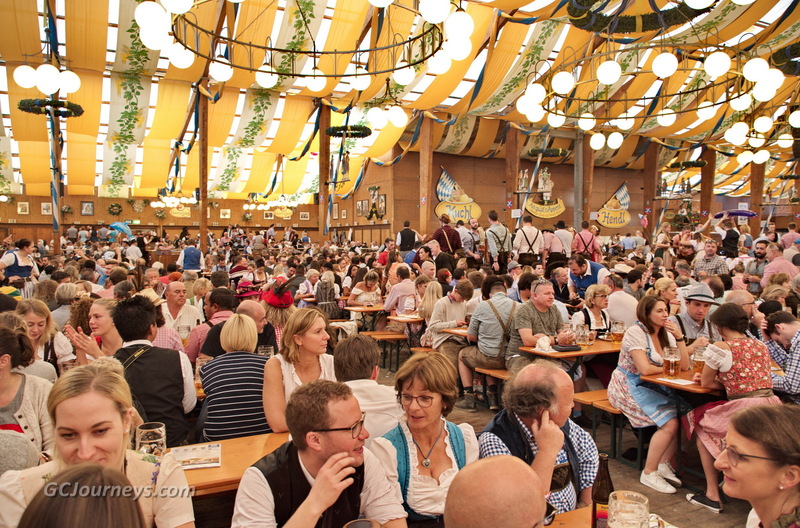 We enjoyed live music and had a roast half-chicken lunch in one of the 21 smaller tents (with 360 seats). 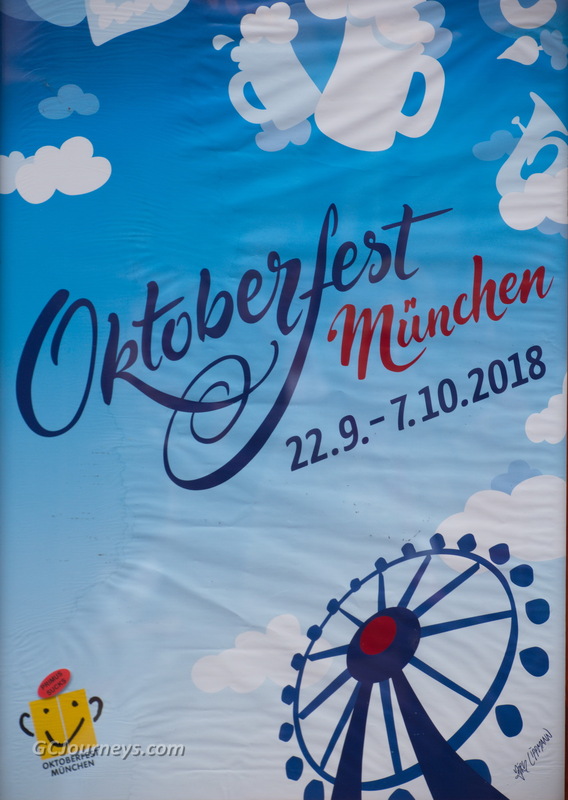 We also walked through one of the 14 large tents which seat from 2,500 to 11,000 people each, and checked out (but didn’t partake in) the scores of carnival rides. 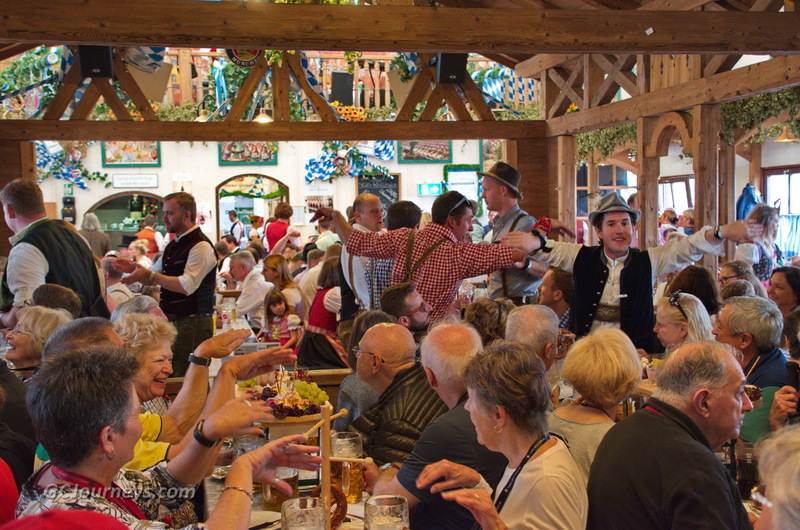 Then back to Regensburg for the last dinner and night on our ship before busing to Melk and Vienna, Austria the next day.